Behind the sour taste, there are many benefits of lemon that can be obtained. Lemon contains many nutrients that are beneficial to our body. Here are some of the benefits of lemon that we can feel. Lemon contains vitamin C and antioxidants the body needs. In addition, lemons also contain fiber, carbohydrates, proteins, and minerals such as calcium, potassium, and magnesium. With these nutrients, lemons provide quite a lot of benefits for the body. Why can lemons help increase endurance? Because this yellow fruit contains high amounts of vitamin C and flavonoids. Flavonoids are one of the antioxidants that can protect our bodies from the dangers of free radicals. The nutritional content found in lemons also seems to have the potential for anticancer properties. But this data still needs further investigation. Lemon is rich in vitamin C. According to research, eating fruits and vegetables containing vitamin C is thought to reduce the risk of heart disease and stroke. Other studies have also shown that regular consumption of lemon plus exercise can help prevent high blood pressure and high cholesterol. Mix one glass of water with one teaspoon of lemon to get rid of stubborn dandruff on your scalp. Rub the mixture on the scalp, let stand for 2 minutes, and wash thoroughly. Try to eat foods that contain iron by adding lemon juice. That way iron in the food will be more easily absorbed by the body. Iron is important for your health because iron deficiency can cause anemia and adversely affect your health. According to some studies, eating citrus fruits, such as lemon, can reduce the likelihood of having an ischemic stroke. Although it's not yet known what the exact reason is, there's nothing wrong with putting lemons in your food menu. 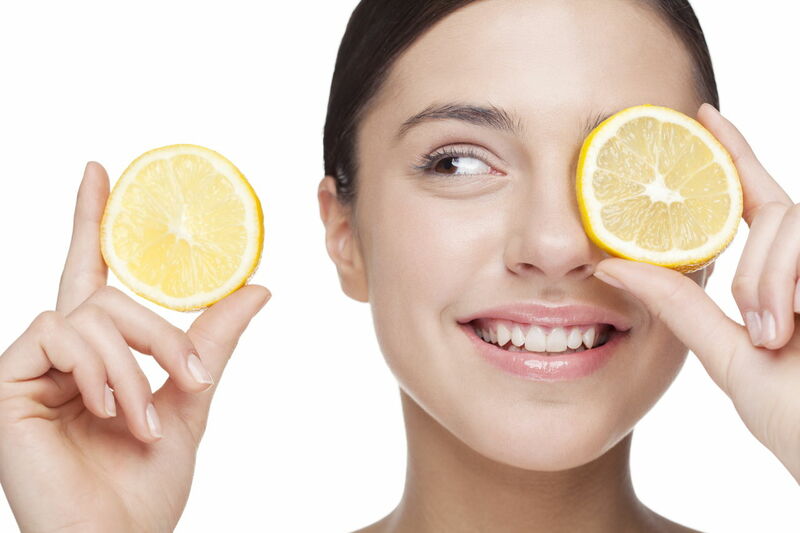 By mixing lemon juice and sugar, you will get a natural herb to remove dead skin cells on your body and face. Eating 1/2 cup of lemon juice every day is thought to help prevent the formation of kidney stones in the body of the sufferer. All this thanks to the content of citric acid in lemon which can help prevent kidney stones by increasing urine volume and increasing urine pH. But further research is still needed to ensure the benefits of lemon as a prevention of kidney stones. Although the benefits of lemon are good for health and beauty, you also need to pay attention to its use so as not to cause irritation. Avoid direct sunlight for at least 24 hours if you apply lemon juice on the skin. The psoralen content in lemon can make your skin more sensitive. Also, avoid thin areas of the skin such as the lips or around the eyes. Don't also use lemon if your skin is classified as dry, cracked, sensitive, or suffering from seborrheic dermatitis. Lemon is rich in important nutrients, such as vitamin C, which is good for health and beauty. By eating lemons regularly and not excessively, you can reap the benefits of lemons to the maximum without causing health problems.